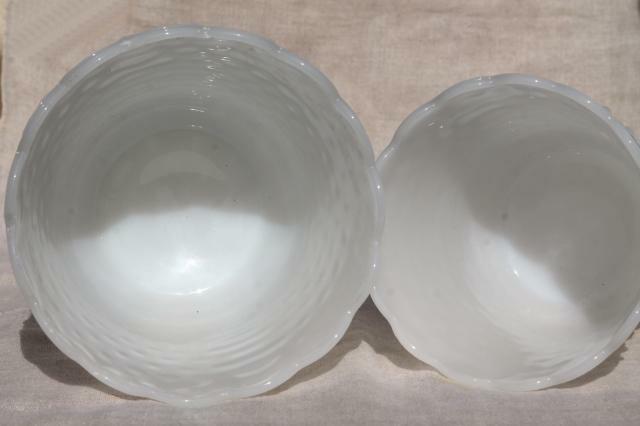 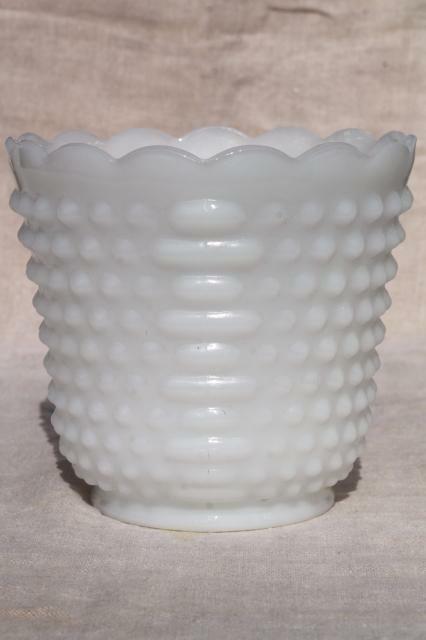 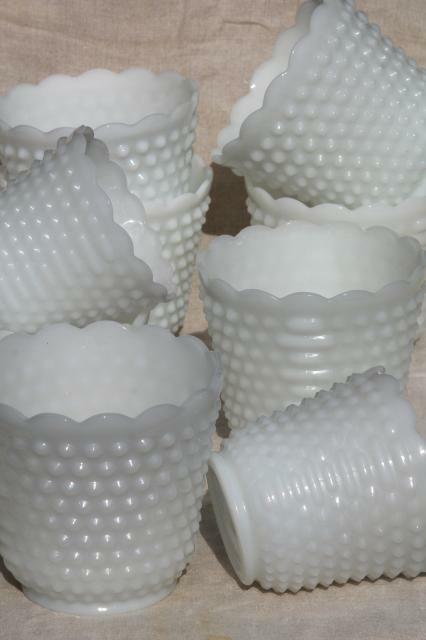 Milk glass instant collection, a large lot of vintage glassware perfect for wedding decor or to fill a whole shelf or cupboard! 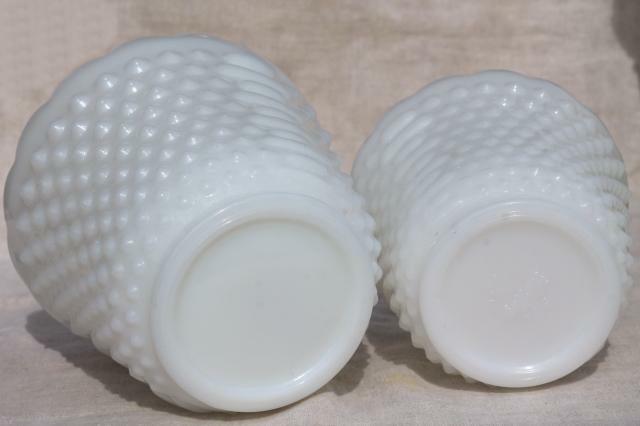 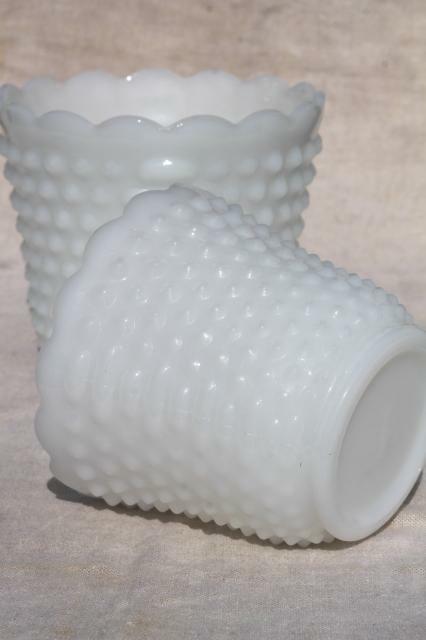 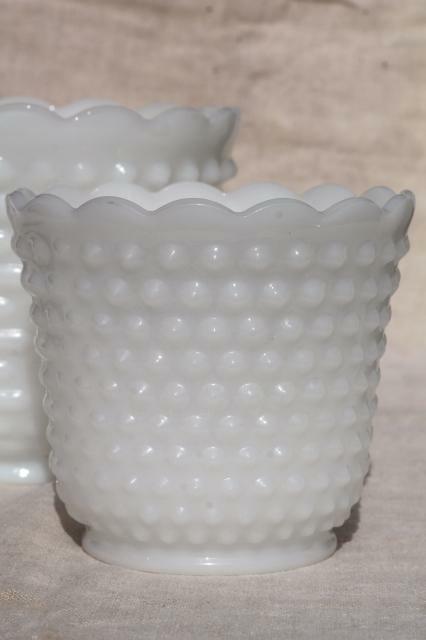 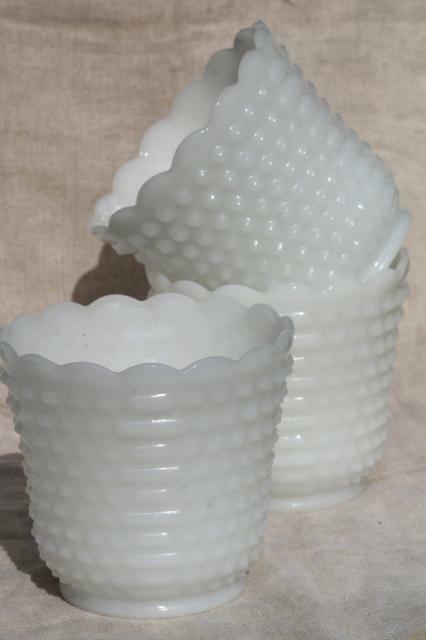 This is a lot of nine dot dash hobnail pattern flower pots - six are the larger size, three are the small ones. 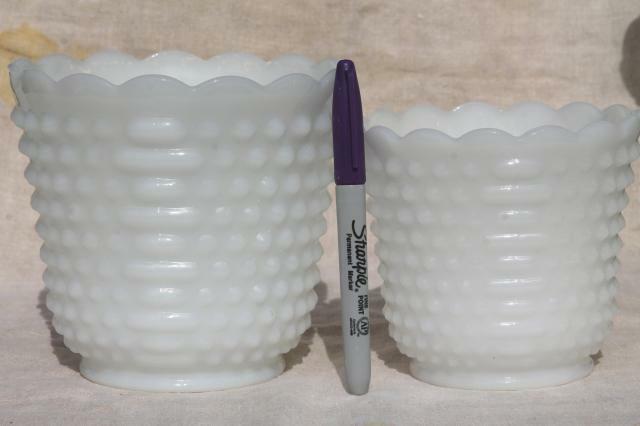 The larger pots measure about 5 1/4" tall x 5 1/2" across the rim, and the smaller pots measure about 4 1/4" tall x 4 1/2" across the rim. 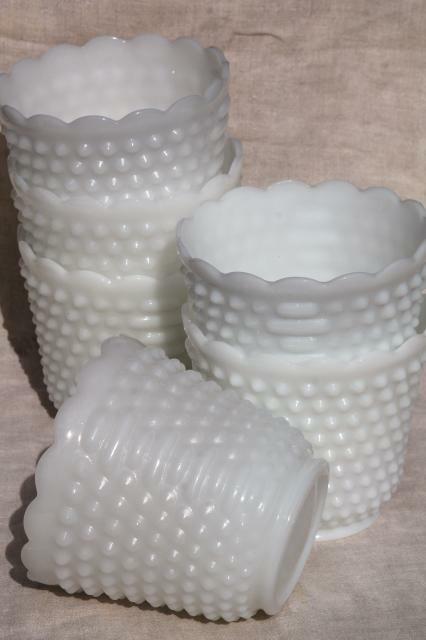 All are in good clean condition without chips or cracks.